I'm going to make this super short since I dont have much time!!! First of all I want to thank everybody who entered my giveaway & for following my blog!!! Madeline from Girl Germs!!!!!!!! I have contacted the winner, she will have 48hrs to reply, another winner will be chosen after the 48hrs. Have a great day lovely ladies!!!! 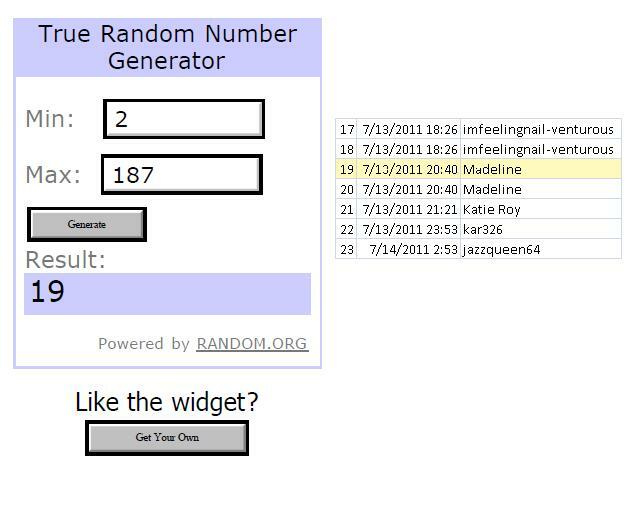 Congrats to the winner and thanks for the giveaway!